Soil Sampling: What's Your pH? One of the most important numbers to look at on your soil test results is soil pH, or, how acidic or alkaline your soil is. In our area, most soils tend to be acidic (which means they have a LOW pH). Acidic soils are hard for most plants to thrive in—the low pH makes it difficult for them to access the nutrients that are present in the soil. So, if you get your soil tested and it recommends adding lime, this is KEY to improving fertility. If you have over 2.5 acres of land in Crawford or Sebastian counties, and would like to have your soil tested, contact us at the Sebastian County Conservation District. We can collect soil samples on your farm and write a Nutrient Management Plan that includes fertilizer and lime recommendations. Fall is the best time to apply lime, so don’t wait! "When one tugs at a single thing in nature, he finds it attached to the rest of the world," said one of our nation's most prominent conservationists, John Muir. 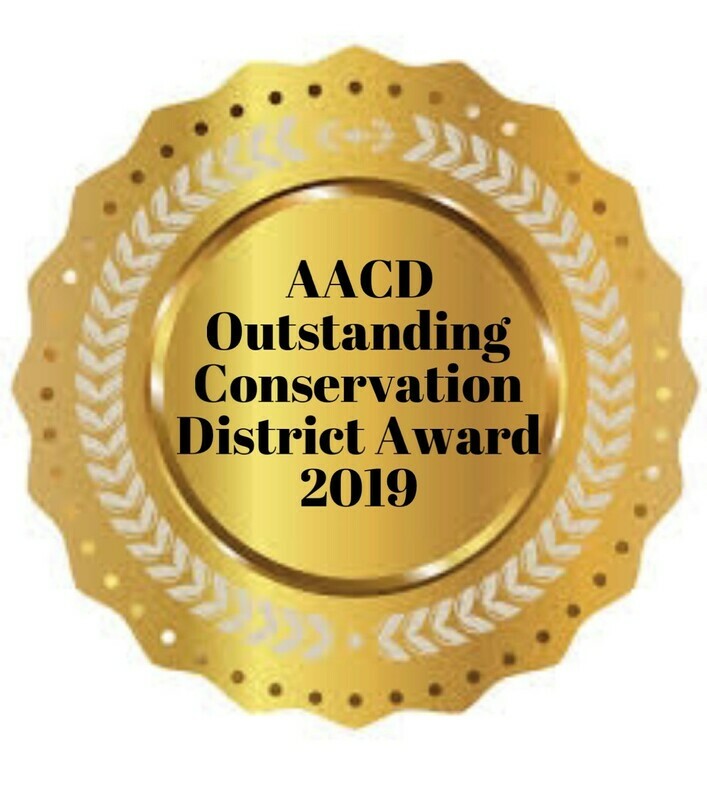 The Sebastian County Conservation District works to address the challenge of natural resource conservation through many venues - acknowledging the complex web that is our natural environment - with the hope of improving our county as a whole. Contact us for information on how to improve the health of your soil, whether you measure yours in acres or square feet. Inextricably tied to soil health, water conservation is critical to any farming operation or any household. Landowners and private citizens can have a profound impact on water quality and quantity, and water conservation measures can add up when applied across a landscape. Conserving natural resources includes conserving natural ecosystems, which add resilience to the entire landscape. Soil nutrients are critical to plant growth, as long as they are applied in the proper amounts. Too much, and it can runoff and become a pollutant. The key to profitable farming and responsible land management that is finding a balance.